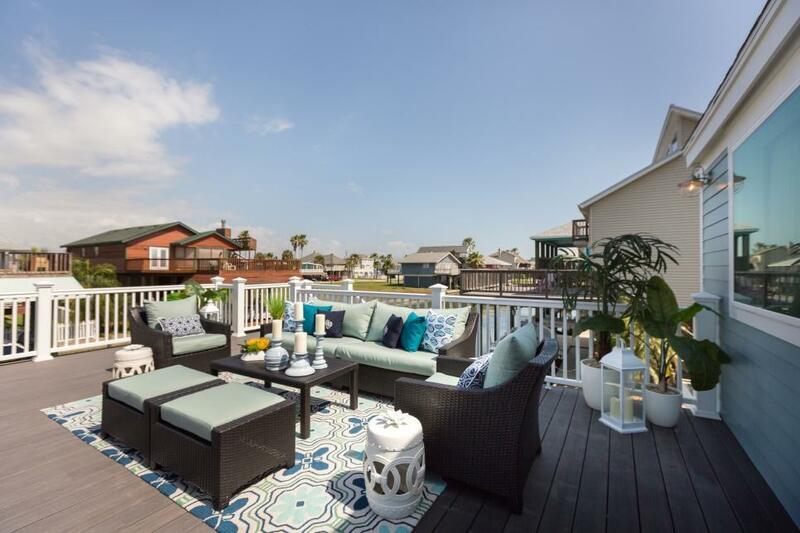 Symmetry Decking featured on hit HGTV series, Brother vs. Brother. 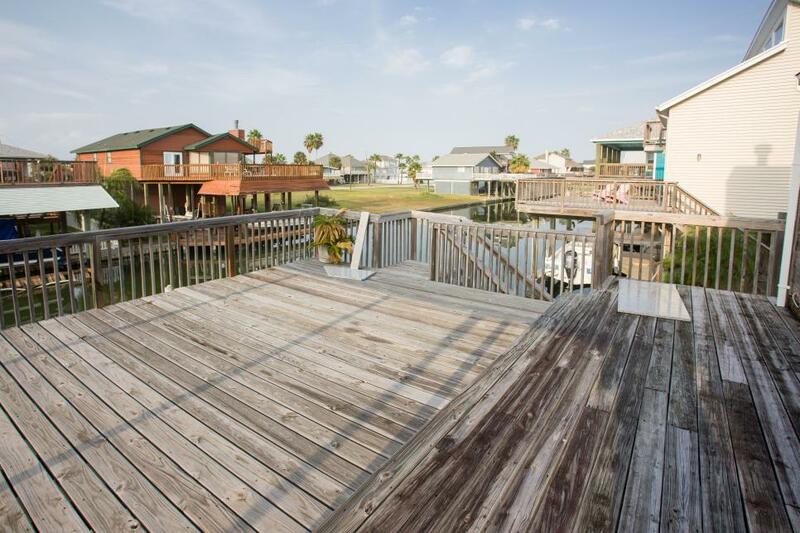 Sun, sand, and a party on deck – that’s what the latest season of the hit HGTV series Brother vs. Brother is all about. 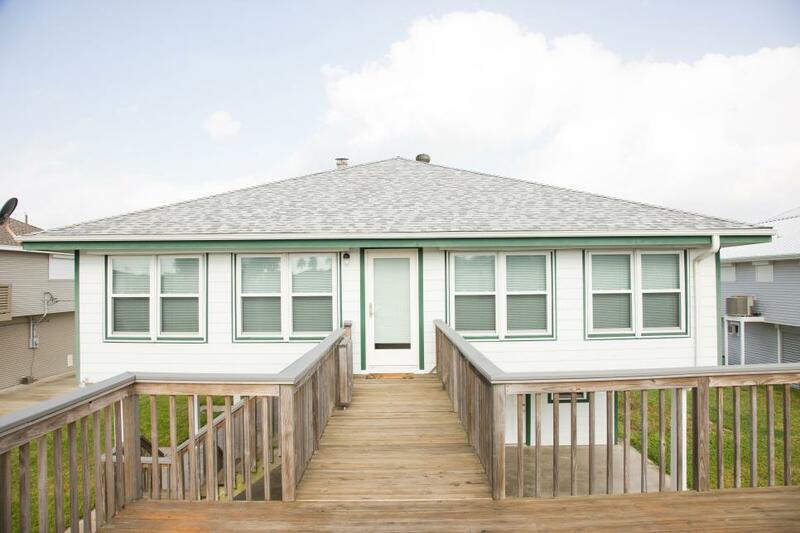 This time, the dynamic renovation duo, Drew and Jonathan Scott, has purchased two fixer-upper properties in the beachfront community of Galveston, Texas. Now, they are transforming them into stunning vacation retreats and selling them. All profits will benefit Rebuilding Together, a local community nonprofit organization. 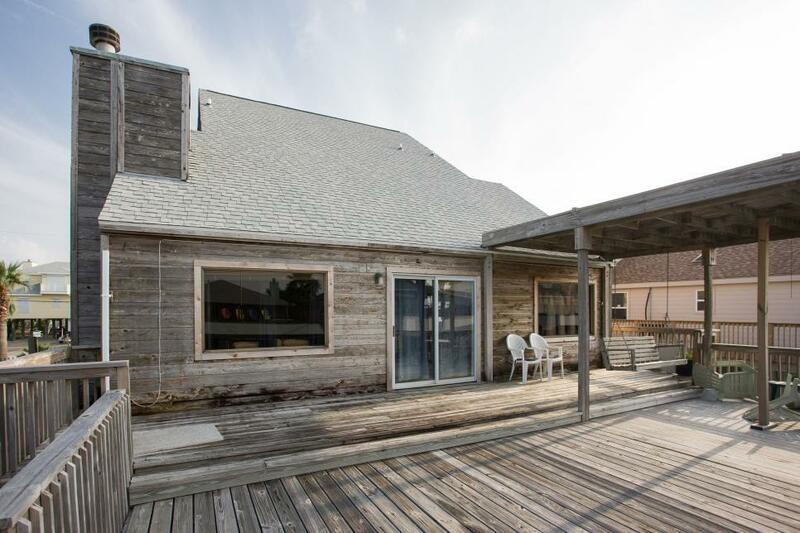 Episode Four aired on June 21 at 9 pm EST, and focused on our favorite space: THE DECK! 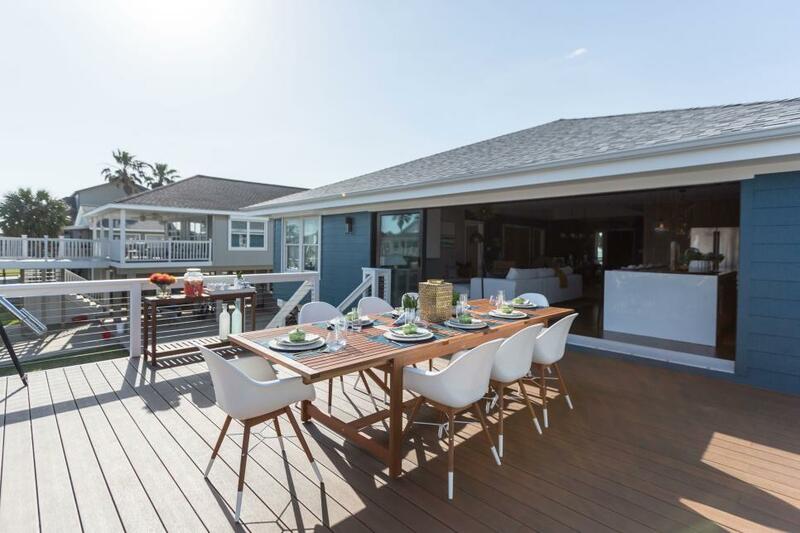 After demolishing the existing wood decks, Drew and Jonathan used Fiberon Symmetry Decking to create party-ready spaces that could withstand the unique challenges of a coastal climate; specifically, saltwater-laden air, moisture, and humidity. 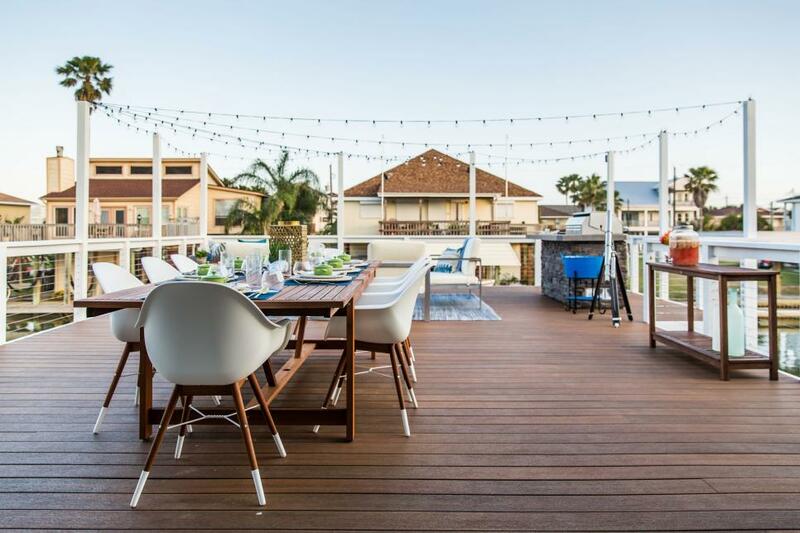 And since nothing kills the vacation vibe faster than a decking to-do list, composite decking was as smart a choice as it was stylish. With Fiberon Symmetry Decking, there's no sanding, staining, or refinishing -- just plenty of time for kicking back and having fun. Learn about the products the brothers selected, then see the before and after photos showing the amazing transformations. Watch the clip below to see both design outcomes. 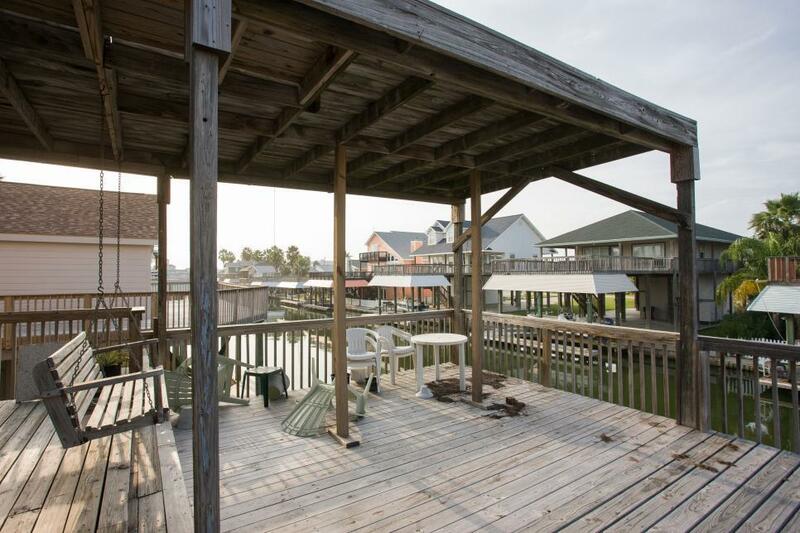 The deck and railing on Drew's home had seen better days. The solution: easy-to-own composite decking and crisp white railing for classic good looks and all-important safety. 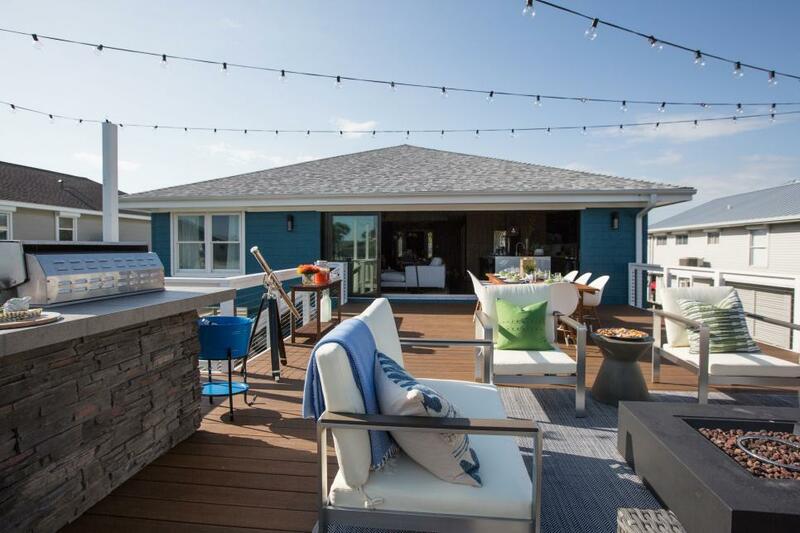 Drew selected Fiberon Symmetry Composite Decking in Graphite, an on-trend gray board that adds stylish sophistication to any space, seaside or city-side. And of course, it paired perfectly with the soothing blue color palette Drew chose for furnishings and accessories. Symmetry Decking is noted for its elegant matte finish and subtle multi-tonal streaking. The other colors in this collection are Warm Sienna, Burnt Umber, and Cinnabar. Symmetry Decking's rugged composite construction ensures no splintering, splitting, cracking, or decay. The bonded, patented PermaTech cap layer means you'll never need to worry about the errant splash of ketchup or the effects of the sun. And, because Symmetry Decking never needs sanding, staining, or refinishing, you'll enjoy big savings on long-term maintenance expenses. Plus, Symmetry Decking is eco-friendly, thanks to its recycled content and sustainable manufacturing processes. See how it's made. Symmetry Railing in Tranquil White with matching beveled balusters was Drew's railing choice. Symmetry Railing features a matte finish and sculpted top rail for added visual appeal. The only composite railing capable of spanning 12 feet, Symmetry Railing minimizes needed rail posts and maximizes your view. Plus, the top rail features a sturdy aluminum sub-channel for a strong, sturdy feel and lasting performance. Like Drew, you can choose matching composite balusters or select round, black metal balusters for an alternate railing infill. 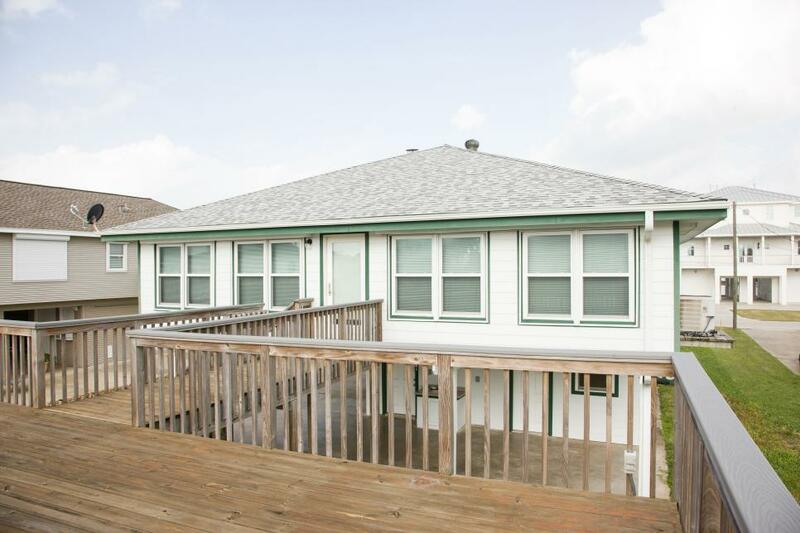 The best part: there's no need to worry about sanding, scraping, or repainting your railing -- ever. Jonathan's goal was to expand the upper deck's footprint and give it a more modern feel to coincide with the rest of the house. What a transformation! Jonathan went with Fiberon Symmetry Decking in Warm Sienna for his party-ready play space. Great choice. As the brothers pointed out, composite decking gives you all the warmth and natural beauty of wood plus easy maintenance and lasting durability. Warm Sienna is a medium golden-brown color with warm undertones and multi-tonal streaking that suited Jonathan's bright, sunny design palette perfectly. Each of Symmetry Decking's four shades were inspired by natural elements and pigments. 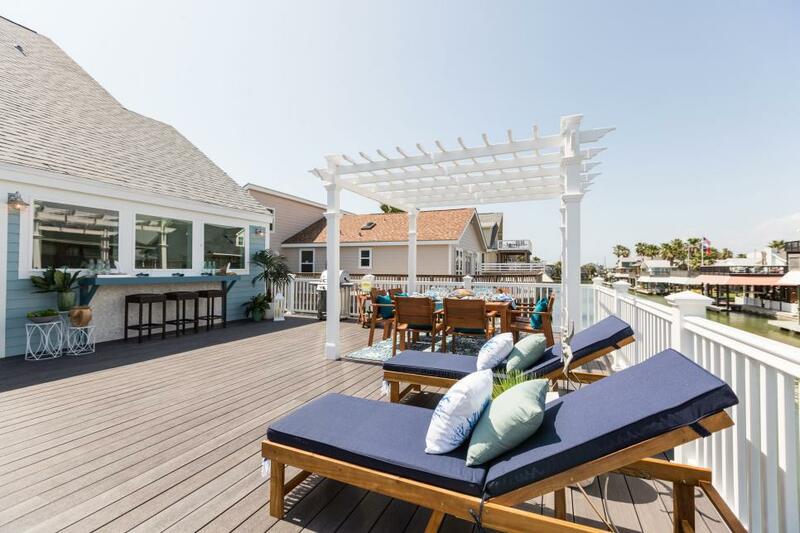 Warm Sienna, in particular, has been a favorite among discerning homeowners and contractors since the decking line debuted in 2016. Here's why contractors chose Fiberon. 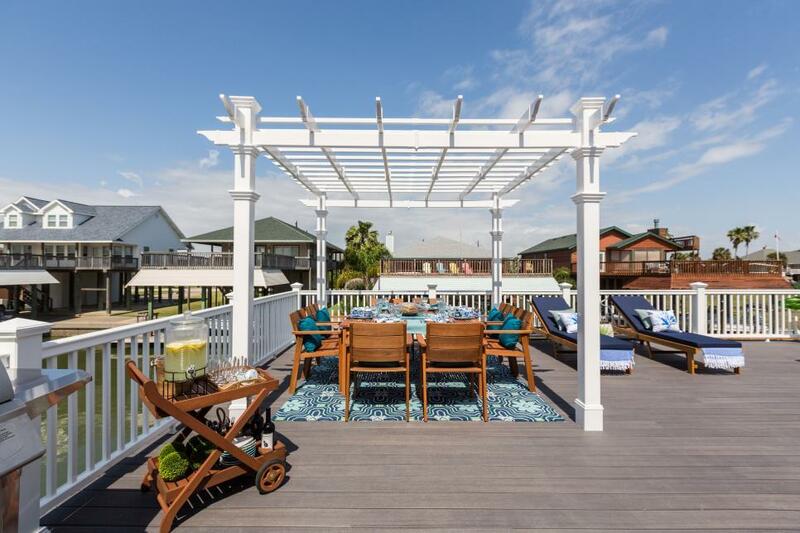 With its durable composite construction, patented PermaTech cap layer, and stunning color palette, Symmetry Decking is the ideal choice for anyone who appreciates a high-end aesthetic coupled with the undeniable appeal of low maintenance. 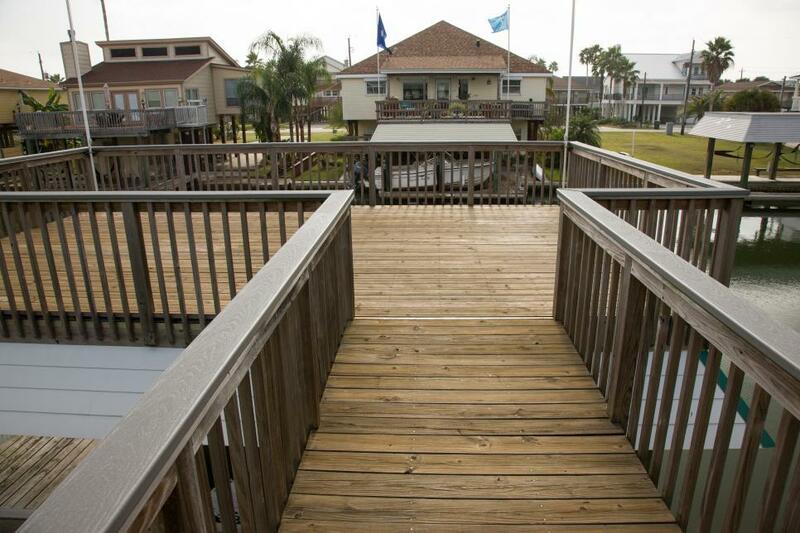 Here's why the Scott Brothers chose Fiberon composite decking. The Judges Deliberate - Karen and Mina were taken with the cozy vibes on Drew’s deck and the “immediate fun” feel of Jonathan’s.